The UK OOH coffee market is booming and is set to get even bigger. Currently we drink our way through an estimated 1.7 billion cups of coffee each year from over 18,000 coffee outlets. By 2020 we’re expected to have over 21,000 coffee outlets, but we have a long way to go to catch up with our continental European cousins. On average in the UK, at 2.8 kilos of coffee drunk per person, we drink half of what our continental European cousins drink their way through each year and when compared to the largest coffee drinkers in the world – the Finns at 12.2 kilos – it shows we still have a long way to go before we see any slowing down in consumption. Statistics tell us that just 5 years ago one in nine people visited a coffee shop every day. Today that figure is now one in five. When designing a food service product the following list is mandatory, any product shipped by Masteroast will comply with this list, Masteroast will work with you to get the product to meet these requirements before dispatch. 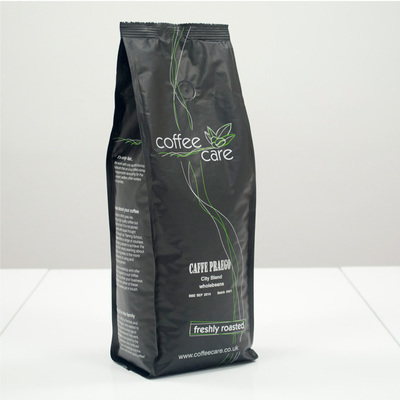 If the coffee has been certified and the customer wishes to advertise this, the seal would need to be correctly displayed on the label to the specified guidelines. View our online certification guidelines here. The product should also state the following information. Ingredients: Such as coffee origins (must state that it’s coffee). Best before/batch: This could also be a roast date. The best before on a coffee product is usually 12 months, this is at the customers’ discretion. 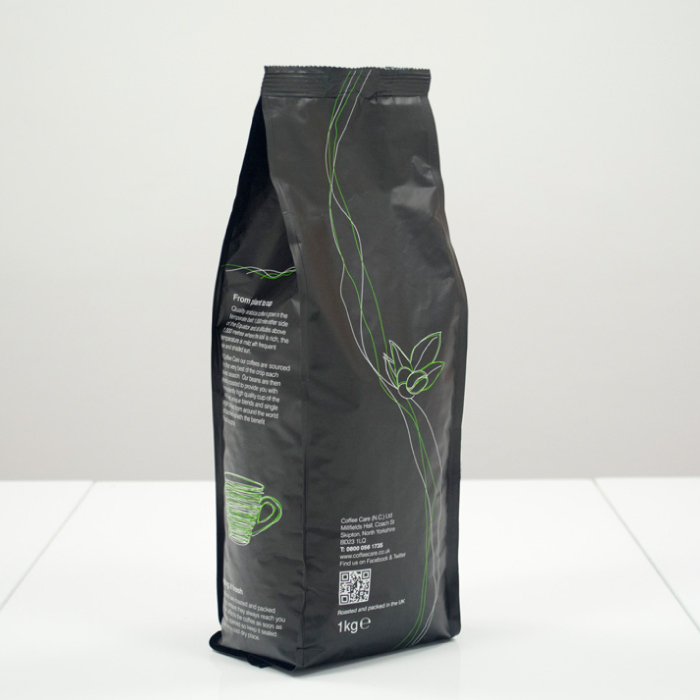 Storage conditions: Some guidance on where and how to store the coffee. Product instructions: This isn't necessary for Food Service but still advised. Name of Business: This includes the sellers contact details such as a postal address, telephone number, email or website, as many or as little as you want as long as an end customer can contact the seller.